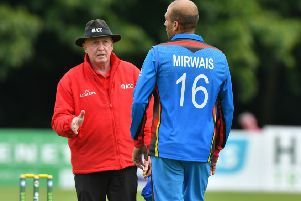 Although Ireland lost the first ODI by 29 runs against Afghanistan on Monday, Tim Murtagh bowled exceptionally, taking his best one-day figures of 4-31. He also has 42 wickets in the 2018 County Championship for Middlesex, proving just how important he is to club and country. Get to know more about the fast bowler with Johnny Morton's video from Stormont.